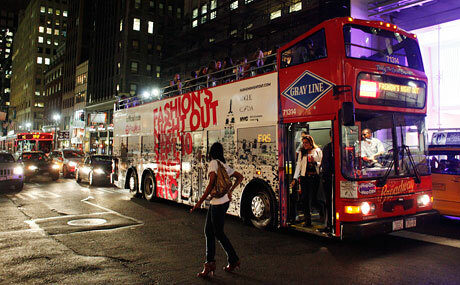 Payless ShoeSource is offering free Fashion Rides on GrayLineNewYork for Fashion’s Night Out. For maps and info, Click here! Gray Line New York, New York City’s premier double-decker bus and motorcoach tourism company, honored New York Rangers’ starting goaltender, Henrik Lundqvist at this month’s “Ride of Fame” . A ribbon-cutting ceremony where Lundqvist unveiled a personalized Gray Line New York bus with his likeness on the front of the vehicle took place on 7th Avenue in front of Madison Square Garden on August 31, 2010 . For more pics CLICK!